Do you like your gear to match? If so, Atomic has a series of color kits to do just that. Kit allows you to color coordinate your dive gear so not only will you have some of the finest equipment available you'll look good too! 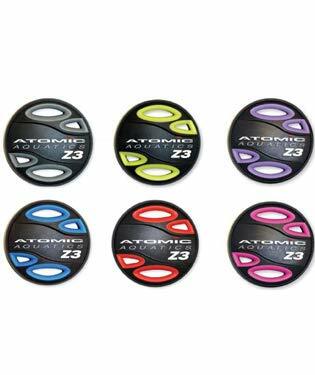 Atomics Color Kit for the Z3 Regulator (see SKU's: ATMZ3SD, ATMZ3RD, ATMZ3RY, ATMZ3SY and ATMZ3SG is available in gray, red, blue, yellow, black, and pink or purple. Match your fins, BCD or wet suit accent colors, mask, snorkel or other gear. Easy to install and you will be a well color coordinated diver. Kit includes purge cover, adjustment knob, knob screw, and exhaust deflector in the color of your choice. Purge cover is made from a soft pliable plastic, and purge deflector knob, and knob screw are plastic.